*If you instead desire the HD Blu-Ray Version of this film, please indicate as such in the “note to seller” when checking out via PayPal. *You will be directed to a download link after purchasing. 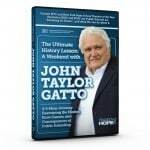 Alternatively, you can also find The Ultimate History Lesson DVD set listed on Amazon.com. Summary: With over 300+ hours of educational curriculum for adults, The Peace Revolution Podcast is ranked #1 in the Higher Education category on podOmatic, the world’s largest podcast hosting site. The Peace Revolution Podcast acts as a virtual classroom for adults, designed to point out and provide useful resources and information pertaining to history, philosophy, economics, politics, and other subjects; to enable individuals to act responsibly and attain life, liberty, and happiness. Each episode contains a subject of study essential to a comprehensive understanding of reality; all of which is focused on providing you with the history, context, references, and the various methods and tools, so that you can learn for yourself, that which public schools cannot afford to provide. Peace Revolution, and all the educational media we create here at Tragedy and Hope dot com is presented as a public service, without corporate sponsorship, and is published commercial-free and presented free to the public, thanks to the generosity of the subscribers of the Tragedy and Hope online community; and the hard work of the media hosts featured at Tragedy and Hope dot com. Access: Click here for the Peace Revolution Podcast homepage (including episode notes, references, and links), or click here for the Peace Revolution archive site (which includes the 9/11 Synchronicity Podcast at the bottom of the home page). Subscribe: Click here for the Peace Revolution RSS feed, or click the following link to subscribe using iTunes. Access: Click here to access the entire 9/11 Synchronicity series of episodes (beginning at the bottom of the linked page). 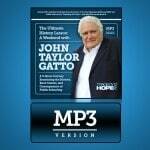 Click the following link to visit Archive.org and download “9/11 Synchronicity: The Complete Series” for free. 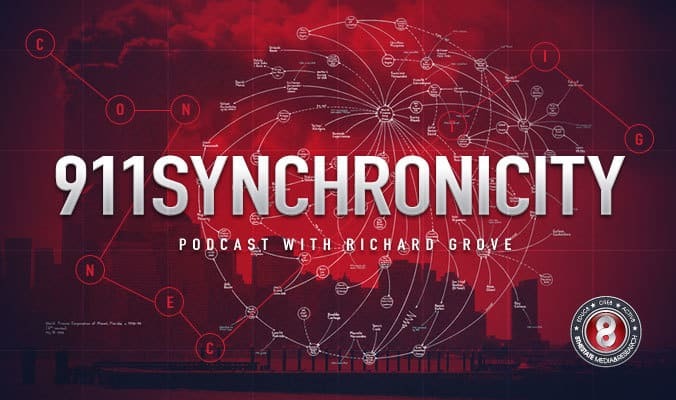 Subscribe: Click here to access the RSS page for 9/11 Synchronicity, or click the following link to subscribe using iTunes. 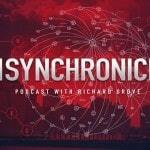 Summary: With over 120+ hours of educational curriculum for adults, The 9/11 Synchronicity Podcast was designed to provide the audience with a successive series of streams of consciousness; wherein individuals exercise their discernment with respect to historical and philosophic arguments, while simultaneously expanding attention spans. The 9/11 Synchronicity Podcast uses historical events to act as a lens, through which individuals can learn how to think critically about their observations; this empowers the mind to form clear perspectives based on logic, reason, rationality, and compassion. Access: Click here to listen, it is also the first publication in the 9/11 Synchronicity podcast series, which can be accessed here after listening. 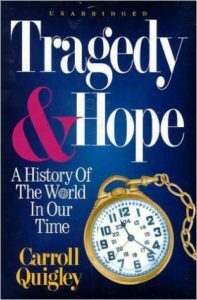 Summary: A message to the Future of America, written by corporate whistleblower Richard Grove, before he began creating educational solutions; eventually resulting in Tragedy and Hope, and the aforementioned podcast curriculae to produce self-reliant adults. 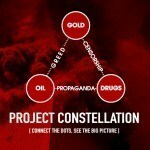 What may have sounded like conspiracy “theories” in 2006, proves today to be relevant and verifiable historical facts. This presentation was created specifically to communicate to media outlets, radio hosts, and others; who the author thought, at the time, might be able to “help” get the facts circulated. 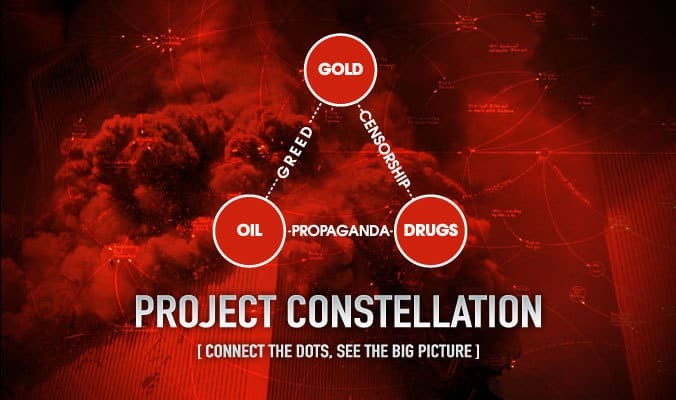 In fact, this presentation was not intended to be made publicly available; it was only after numerous failures and non-responses, that Meria Heller studied it and asked permission to publish it on Memorial Day 2006. If she had not been so bold, nothing you see here on Tragedy and Hope dot com would exist as it does today. Listen. Learn. Share. Thank you for tuning-in, and not dropping out!